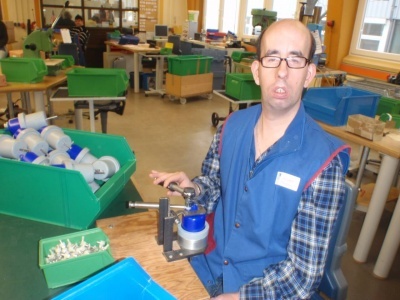 Lebenshilfe Stuttgart supports disabled people and their families. It provides accommodation and workshops, making an important contribution to ensuring that disabled people can enjoy a happy, creative and independent life. The Lebenshilfe metal workshops have been producing for LTG for some time now. They install air motors and side panels in our tangential fans and perform processing steps for components, such as spot welding, beading, trimming and stamping. We are very happy with the reliably high quality they deliver, and look forward to many more years of productive cooperation. You can find more information (in German) about the Lebenshilfe workshops in Stuttgart here. For decades, the Björn Steiger Foundation has had a simple aim: saving lives. Air rescue, emergency phone boxes on roads and motorways, and the emergency services numbers themselves are just some of the measures that can be traced back to the initiative of this foundation. 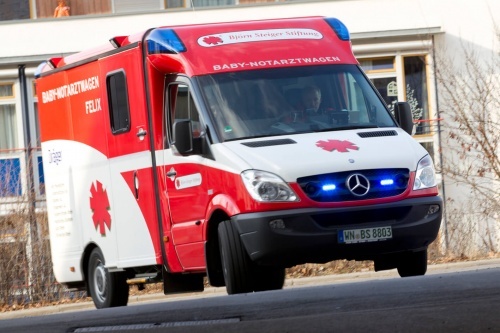 Another, more recent aim of the Björn Steiger Foundation is the prevention of infant deaths through safe medical transport for babies. Until 1974, the former West Germany had the highest level of infant mortality in the industrialised world. Back then, maternity and paediatric clinics were often separated, and babies had to be transported in an emergency. The lack of holding and retaining mechanisms, coupled with the fragile condition of the young patients, often unfortunately led to severe injuries. The baby ambulance is a new means of transport that allows babies to be brought to hospital as safely and comfortably as possible. We are delighted to make a small contribution to this while hoping that “Felix” the ambulance is not needed so often and can stay as long as possible in the garage. Find out more about the Björn Steiger Foundation (in German).